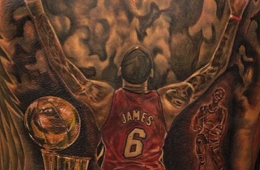 A fan decided to share his LeBron James tribute ink with the King via Instagram that James especially liked, cause it also featured Michael Jordan. 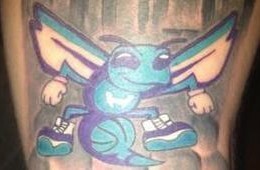 We are still a season away from the return of the Charlotte Hornets and fans are crazy excited. 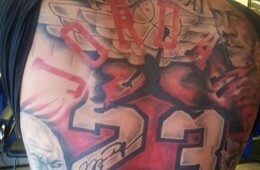 Crazy gnarly leg tattoo excited. 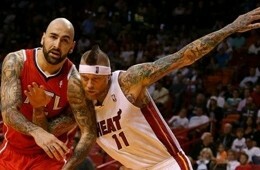 Like this guy. 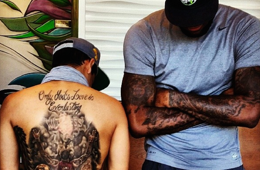 This LeBron James fan got a chance to meet his favorite player and showed James his huge tribute tattoo. 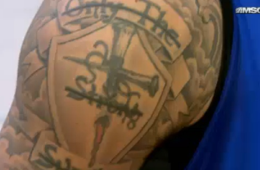 Ever wonder why Tyson Chandler has a "Only the Strong Survive"tattoo crossed out on his right arm? Well wonder no more cause he explains why after four years he struck through it. 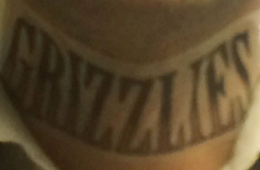 On February 21st, 2014 the Grizzlies will have a neck tattoo night in honor of fan favorite James Johnson and his "NAYMIN 3.9.13" neck tattoo. 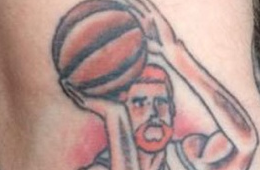 Having a Matt Bonner tattoo isn't strange, because I've seen stranger tattoos. 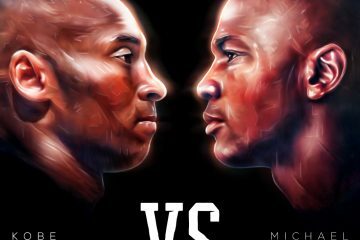 So on to the details of the man who got it. 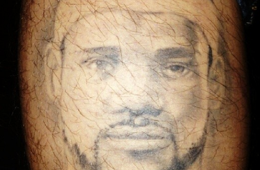 This guy will always tell you LeBron James was the greatest player to ever play the game. Always. 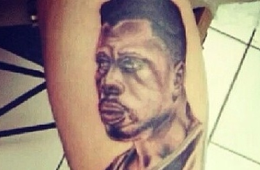 Getting a tattoo of an NBA star on your calf is all the rage. "I really don't know how I'm suppose to feel about it. Lol. 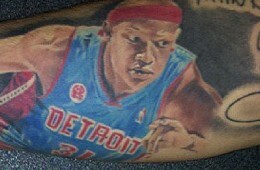 Ummm I guess that's pretty cool/creepy/awesome all the same time!" 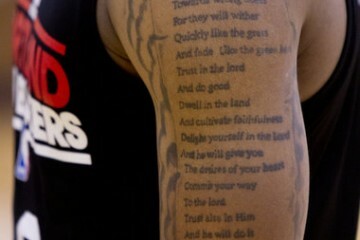 JR talks tattoos and gets a tattoo. 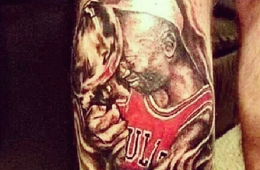 And you thought you really liked Michael Jordan. 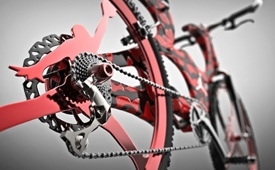 This picture pretty much represents two-thirds of a good idea. 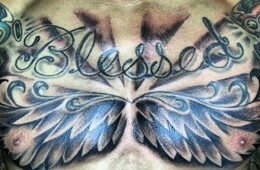 George Hill got a badass business tattoo.